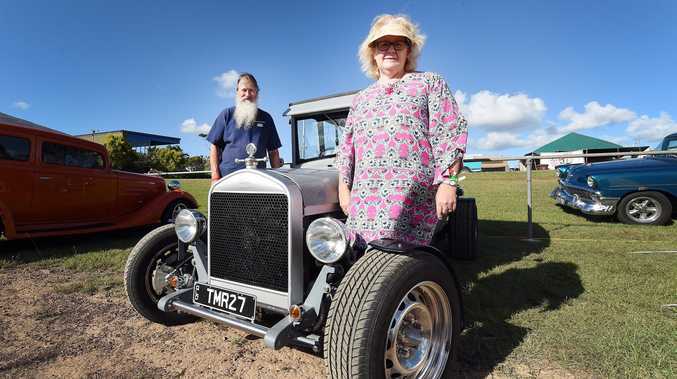 HOLDEN might not be building cars in Australia anymore, but its design and engineering team are still important cogs in General Motors' global plan. The two local teams combined to produce a new virtual racing concept to celebrate Holden's 50th anniversary of its first Bathurst win. 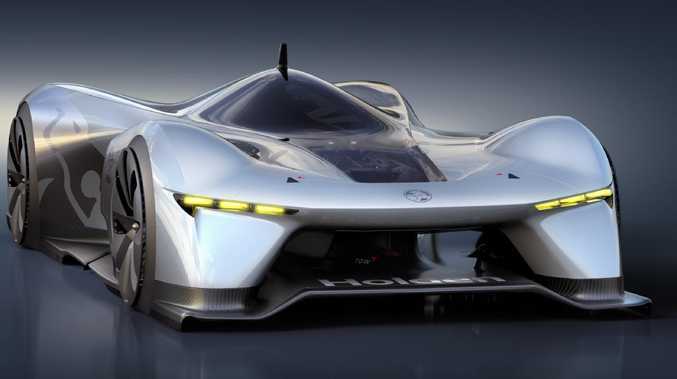 The concept dubbed the Holden Time Attack Concept is a slippery electric powered dynamo that looks like it has stepped right out of the movie Tron. The virtual racer was developed using advanced simulation technology explains Holden's design director, Richard Ferlazzo. "The technology we employ today has transformed the way we design cars. We have the ability to simulate a car's appearance, technology and dynamics in convincing animations, which enables us to deliver better designs in a shorter time," says Ferlazzo. "This concept is a digital advertisement for the advanced skills, capability and technology of the GM Holden team," he says. Holden’s virtual Time Attack Racer Concept features crazy aerodynamics. Ferlazzo misses the days of physical concept cars, but the death of local motor shows means that virtual concepts are the company's best way of displaying its design creativity and engineering prowess. The concept may be just a highlight reel for what the design studio can do but it also could become a reality. 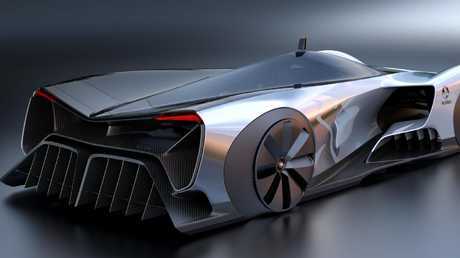 "Concepts are always meant to push the boundaries but are even more impactful when they are feasible and this concept is plausible as an advanced racer of the future," says Ferlazzo. But like all concepts it has some far fetched ideas that will never make it to the real world. Holden envisages the concept to be powered by four electric motors - one on each wheel - that would produce a combined 1000kW/3240Nm. A carbonfibre composite chassis is not only lightweight but extremely strong. A carbon fibre chassis and a reinforced kevlar/carbon fibre body enable the racer to handle the immense amount of force produced by the motors. The engineering team designed a number of aerodynamic features to assist the racer with a several fans that accelerate airflow through the various aerodynamic dams and holes to increase downforce. The result is the ability to create G-Forces of 6.5 - which is similar to an F1 car during turns. 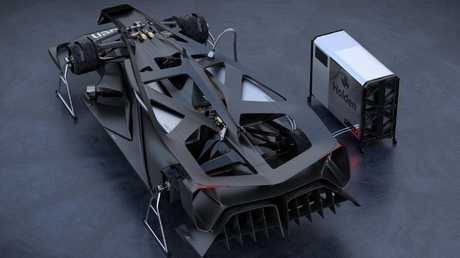 All this adds up to a virtual racer that can hit 100km/h in just 1.25 seconds on the way to a top speed of 480km/h. Holden's virtual simulation has the racer lapping the Mount Panorama track in 1 minute 29.3 seconds.